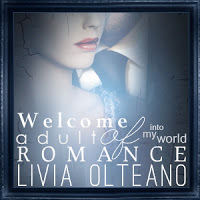 Review: 3 Stars - Gargoyle Addiction is the first title in the Otherworld’s Summons series by author Livia Olteano. Being both supernatural and “New Adult” I couldn’t wait to read this title in one of my favorite genre’s and a favorite category. Karla unknowingly summons Kann who is none other than Gargoyle royalty. How the whole summoning thing happened was rather cool and then learning the back story was one of the aspects of the story I looked forward to the most. Karla is pretty much on her own with the exception of a few friends. After her mother and grandmother both passed away at a young age Karla remains alone in the house she’s always known. After summoning Kann her world is turned upside down when she learns who she really is, who she’s a descendant of and how she was able to make Kann magically appear out of thin air. Kann doesn’t want to be where he’s at. He’s stuck in the human world and needs to find his way out of the summoning and back home as quick as possible. Only thing, he’s drawn to Karla and wants to know more about the woman who brought him to the human world. The two have a weird electric relationship. It’s almost one of those insta-love type things but I could kind of see it happening quicker for Karla for her own reasons, which I won’t giveaway. Let’s just say she somewhat knew about Kann before he appeared. Kann is cocky through and through. What he knows, how he was raised and what he wants is all about to change because of a girl. His struggles were apparent. As were Karla’s and watching the two deal with such different realities and worlds was front and center. Now, while the copy I read was an ARC I had a hard time understanding who was whom. At the beginning of many of the chapters I had to read on to figure out who was speaking and then come back to re-read it to see it from whose true point of view the author had intended it be read in. It was somewhat distracting and I hope this was cleared up in edits. While I did enjoy it and I liked reading about Karla and Kann’s journey there was something a bit lacking that made me fall short from loving it. And trust me; I really wanted to love it. However in my eyes a 3 star review isn’t bad. I did like it, just didn’t love it. 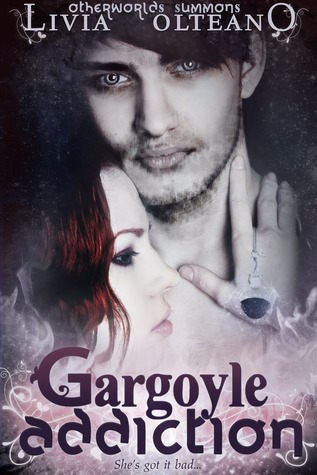 All in all, it’s a quick and entertaining read and has some pretty interesting twists to the story and the authors’ lore when it came to Gargoyle’s was unique. I had hoped that we’d get to read more about these two characters and when checking with the authors website it looks like the next book in the Otherworld’s series will be about dragons! While I’m bummed it won’t be a continuation on these two characters and there ever changing lives I am looking forward to reading her take on Dragons. Those that are fans of “New Adult” and are looking for something other than a contemporary title should give this one a try. Enjoy. Thanks for being part of the tour and for your thoughtful review!